So, I have a hard time trying to watch the road and laptop while driving, and so I thought I'd try come up with a tool to do it for me. 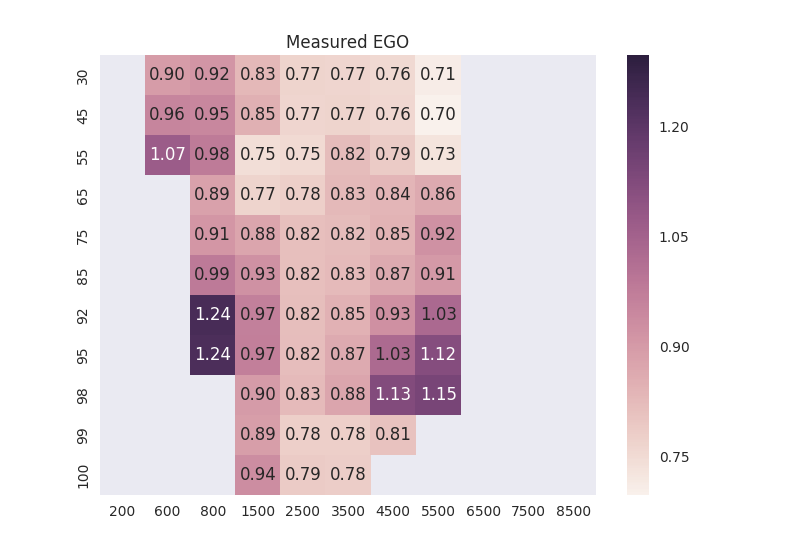 The idea is to read through a log file, collate EGO readings at each VE cell, and made predictions on how to adjust the VE table. 1) Why are you rejecting records on the basis of EGO? Railed values? Or? 2) Are the rejections done with some sort of lag or temporal input? 3) Why rejecting based on RPM? 4) There will be more rejection reasons, eg fuel cut/ignition cut, I'm guessing you haven't hit the limiter while doing this, but many would and it would render the readings useless. 5) Is it possible to vertically flip the tables so they look right? 6) Does it apply corrections with low confidence values? Will you add the option to not apply under a certain threshold? 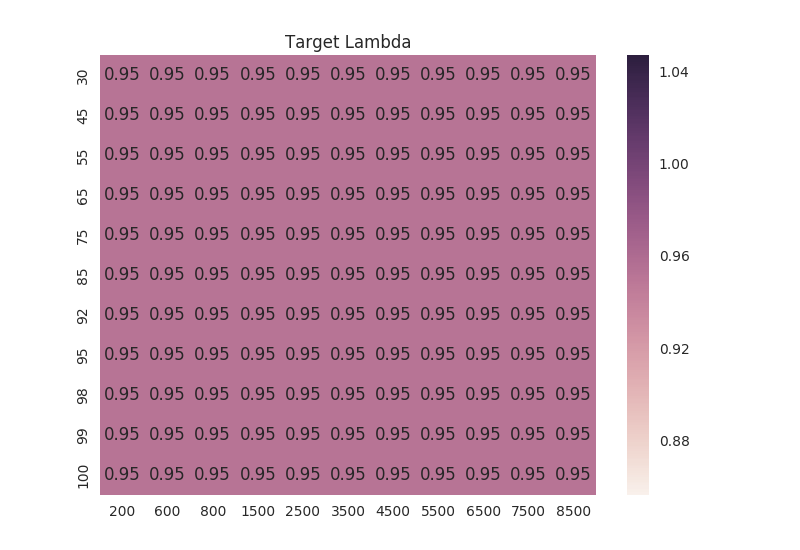 7) Fix your target lambda table! :-p Your VEs will look more reasonable and your engine will run better if it's closer to usable. In particular, richen up the WOT area and close to WOT areas a bit, stoich your idle and cruise, and lean out your trailing throttle a bunch. 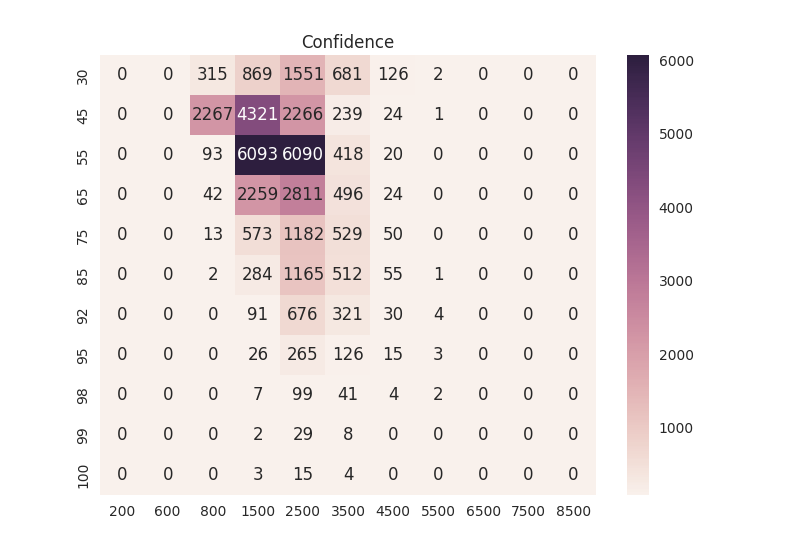 Does the confidence take into account the spread of values, std deviation wise, or just volume of points processed against a cell? Does the confidence take into account how much weighting the cell had in that usage? / Are you properly spreading the reading's influence across multiple cells (4, 2, 1)? No lag compensation at the moment. I figured that would be good enough for now as it is rejecting pretty strictly on dTPS. Could do, although it doesn't bother me. It matches the firmware header files. There is a veChangeFriction value which makes it harder for a VE change. This isn't a threshold though, it is stuffing the cells with that many samples at the target lambda value. Sure, though that is irrelevant to this. How would changing the lambda table change the look of a VE table? 8) Does the confidence take into account the spread of values, std deviation wise, or just volume of points processed against a cell? 1) Tune VE perfectly to obtain that result while running, car runs like crap at higher loads and burns excess fuel at lighter loads. 2) Tune the VE to compensate for the lambda map and get a nice running engine, in this case lambda and EGO will be far apart on purpose. 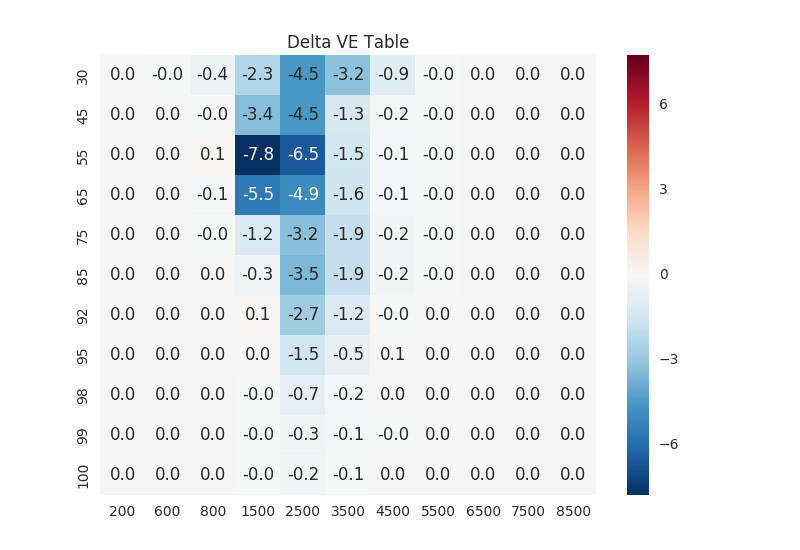 Given that you're trying to match lambda and EGO, you'd probably best put lambda in the right place so you end up with a VE table that makes your engine run nicely. Thanks for the rest of the answers, I might add some more tomorrow, but now I must sleep. /usr/lib/python2.7/dist-packages/matplotlib/__init__.py:874: UserWarning: axes.color_cycle is deprecated and replaced with axes.prop_cycle; please use the latter. assert len(table), "No table data found"
On the first run I fed it tables from the wrong checkout/base tune. The script didn't seem to notice that the base table was different from the table within the logs. It should probably check and warn if the log is for a different base tune. Very cool tool! Will chuck through some longer logs when...if I ever get some. Yeah ideally it would process the raw log files rather than require exporting as csv. Basically it will work with the way I have set up my engine (eg AFR table has same dimensions as VE table), and if by chance yours is the same then it should hopefully work. I reckon the CSV aspect is OK, as you would often want to trim your log, just as we did last night, cutting off 90% of the front full of tuning changes. 2) Ditto, for both VE and Lambda inputs. If you JSONised it, I'd give it to Rob right now to play with on his Miata. Yeah ideally it would process the raw log files rather than require exporting as csv. obtained after the tuning found in the log, or confirm it yourself by checking the log data against it/them. result. 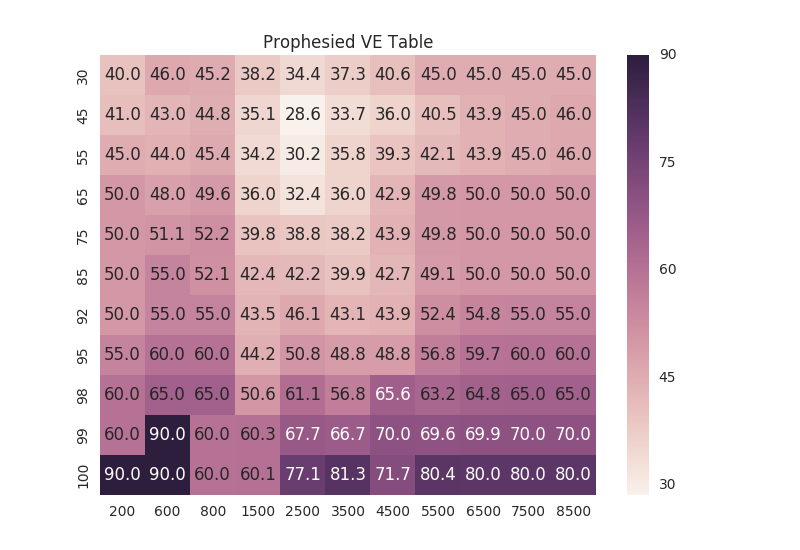 In fact, VE is far more likely to have been modified in the log, too.